Sasha Farina. Paper. Play. 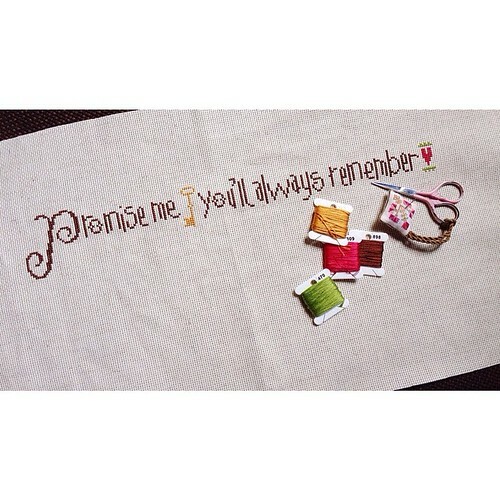 : Lizzie Kate Promise Me. Start To Finish. 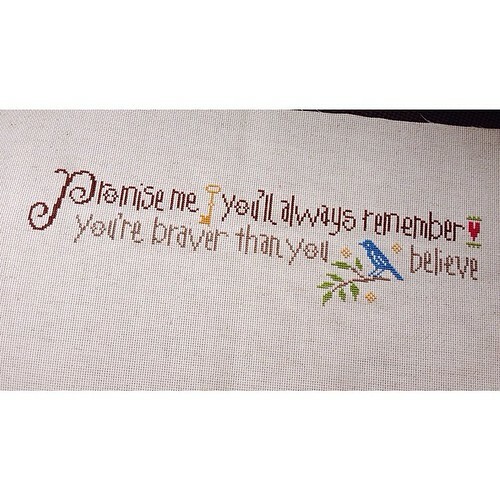 Lizzie Kate Promise Me. Start To Finish. I have been asked - why cross stitch? Well, I've been cross stitching since I was 12. So, I've been a cross stitcher longer than I've been a scrapbooker. And I always come back to what I love. I know I will come back to cross stitching, even when I was head over heels in love and was solely scrapbooking - just like I know I will always come back to baking and there was a reason I bought the giant kenwood mixer in the first place. Ha! I think I changed a few colors to brighter ones (what's new, eh?) I got all my patterns from Needlecraft-Corner which is a pretty old-school store. They have no shopping cart - you have to email your order in to Drema, but they have been in business for 34 years as of June 2014 and I've been buying from them since year 2003 thereabout. 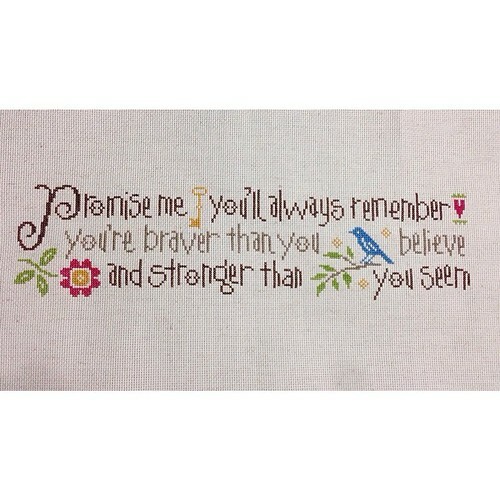 I love to cross stitch!! This is gorgeous!!!! Oh I love Lizzie Kate!! What a beautiful statement. And so true. 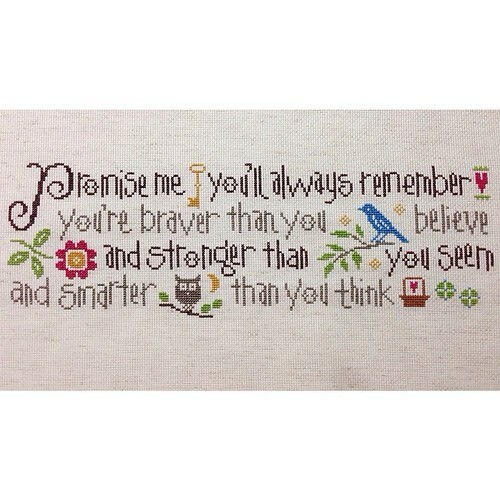 Might have to stitch this for my girls.